Many years ago the Bowlingual translator promised to finally bridge the communications gap between humans and dogs. But since a wagging tail and shredded toilet paper make it easy to figure out what a dog is thinking, it wasn't exactly a must-have gadget. Cats, on the other hand? That's a different story. Often, you're never sure which of your many infractions has caused your cats to shred the furniture, poop on your bed, or spray the living room. 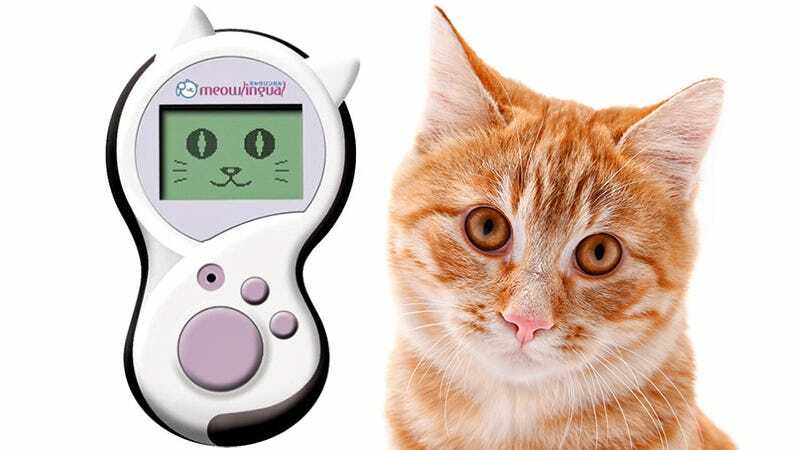 So the Meowlingual translator seems like an essential tool if dogs aren't your thing and goldfish seem pointless.